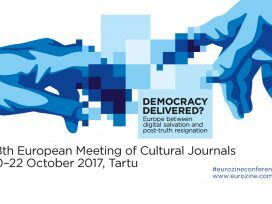 Themes discussed at the 28th European Meeting of Cultural Journals, held in Tartu, Estonia, 20-22 October 2017. Since the previous occasion on which Eurozine partner journals had met in Estonia, in 2004, to consider the implications of digital technology on politics, society and the media, new internet giants had emerged, and reshaped the communication landscape almost beyond recognition. This revolution has had a devastating effect on the advertising revenues that once funded journalism and has come to pose unexpected challenges to democracy itself. The new social media companies consciously avoid any commitment to a democratic function – or any of the rules that bind their traditional media forebears. ‘Fake news’ and disinformation are nothing new, but the internet has facilitated their spread: in the ‘click economy’, facts and ethical journalism become anachronisms once publics reject established media – and the journalistic standards they represent – as ‘elitist’ and biased towards the ‘liberal establishment’. Social media platforms and the data harvesting they allow have served to create a new political campaigning tool, one that operates largely beyond regulatory control and has unpredictable impacts on democratic outcomes. In this ‘post-truth’ media environment, the popular response is all too often resignation. Conversely, the digital revolution also offers new possibilities for the more active involvement of citizens in their societies and democracies, with both governments and civil society becoming increasingly interested in the possibilities of e-government and civic tech. 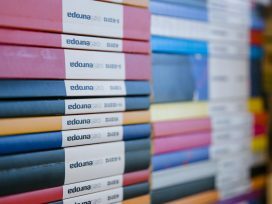 In the media, too, the digital revolution has provided fantastic opportunities for collaboration among media outlets – including journals like those in the Eurozine network – even if much discussion of culture and politics remains stubbornly confined to national silos. So as Eurozine returned to Estonia for the 28th European Meeting of Cultural Journals in 2017, we sought to assess the democratic pros and contras of the digital revolution: does it represent democracy’s salvation or has it delivered up democracy to the forces of illiberalism? Technology cannot be blamed for all democracy’s ills, for sure, but can it provide the solutions to them? Can the internet be used to foster a European public sphere, and help independent media outlets across Europe raise critical awareness of disinformation and anti-democratic narratives? And what is the role of cultural journals in this European movement: can we use digital media to revive the time-honoured project of a ‘Republic of Letters’? The panels and workshops sought to answer these questions from a range of theoretical and practical perspectives. Digital technologies are increasingly being offered as an antidote to the all-too familiar complaints of ‘post-democracy’: exclusion of the public from technocratic and non-transparent decision-making processes; political apathy, de-politicization and disillusion with political elites; unaccountability of the financial sector and political and economic corruption; the perceived failure of existing institutions of representative democracy and the rise of ‘direct democratic’ movements. So how can digital technologies make a positive democratic impact? On the one hand, there is civic-tech: this consists of grass-roots, civil society, and private sector initiatives that enable ‘public decision-making’, ‘peer-to-peer sharing’ and ‘crowdsourcing’. On the other hand, at the institutional level, there is e-government: this includes initiatives such as ‘open government’ and ‘data transparency’, as well as e-voting and investments in digital infrastructure, intended to make democratic procedures more accessible, above all to younger generations. Often, civic tech and e-government overlap: participatory budgeting schemes are being used in Europe that operate at local government level, initiated and run by private sector activists. Both civic tech and e-government are also responses to the acceleration and fragmentation of political opinion formation, which is driven by the digital media technologies themselves. This opens up the question of whether the impacts of these media on democratic process are exclusively beneficial. It suffices here to speak of political filter bubbles, national ‘echo-chambers’ and the proliferation of disinformation. Progressive though the e-democracy discourse is, we also need to look critically at the negative impacts of digital media technologies on democratic process in the here and now. For all the potential of social media for political mobilization, it is hard to claim for them the status of ‘fourth estate’. Equally, in view of the increasing – and increasingly controversial practice – of data analytics and voter-profiling,2tighter regulations on political advertising online seem necessary. Data mining also raises the question of the role of the private sector in the drive towards e-government. Increasing digitalization of the process of government will inevitable also increase the role of private sector service providers in the democratic process, bringing with it not more but less transparency, greater deregulation, conflicts of interest and the risk of external interference in electoral outcomes. The issue is therefore as much about saving democracy from digital technology as saving democracy through digital technology. This panel asked both how digitization can benefit the political process in Europe in the future, and how digitization impacts negatively on democracy in the here and now. The question of the role of digital media in the political public sphere was framed to take account of the fact that digitization is as much a catalyst of the tendencies of ‘post-democracy’ as it is a potential solution to them. Fake news has become big news. Post-truth is the new paradigm. Respect for facticity is becoming, by all accounts, a commercial anachronism. And behind it all, the spectre of an illiberal international waging ‘infowar’ against western democracies. This panel built on the previous discussion of the impacts of digital technologies on democratic processes by focusing on one much-debated and controversial topic: disinformation and its proliferation in the digital eco-system. Ever since being perceived internationally as the aggressor in the 5-day Georgian war of 2008, Russia has sought to manipulate western public opinion through systematic disinformation campaigns.5 Mixing the dark arts of western PR with the Soviet experience of propaganda and psy-ops, Russian ‘political technologists’ have for some time been exporting to the West a political culture in which ‘nothing is true and everything is possible’.6 As Ivan Krastev and Stephen Holmes have pointed out, the Kremlin’s power is entrenched by making it clear that it can dictate the terms of the ‘truth’.7 Slav-Orthodox ascendancy and the ‘Russian World’, western decadence and decline, the hegemony of the USA and NATO, the golden age of Stalinism – these and other all-too familiar ideologemes are not so much constative as performative, acts of aggression upon epistemic standards rather than descriptions of reality, whether intended to deceive or not. Since the Maidan protests in Ukraine November 2013, the annexation of Crimea and imposition of western sanctions in 2014, and the Russian intervention in Syria in 2015, Russian disinformation has taken on not only a new quantity, but also a new quality: information has been systematically ‘weaponized’. The political spin of outlets such as RT (formerly Russia Today) seem relatively harmless compared to more recent attempts to influence the outcome of electoral outcomes and the stability of democratic institutions through disinformation and information illicitly gained, i.e. hacked. Here, the ulterior aim is not to persuade western publics of Russian superiority but to cultivate distrust and discord within democracies. While the entry of the term ‘infowar’ into security parlance indicates an escalation of hostilities, and for that reason should itself be used cautiously, it nevertheless seems warranted as a description of the new conflict. The challenge, then, is to identity the warring parties, the fronts and the ammunition being used. The panel addressed these questions by looking at the history, media channels and political semantics of Russian disinformation in western and eastern Europe. This panel built on the discussion of the processes, substance and impacts of disinformation, above all in relation to Russian ‘infowar’, in order to look at more theoretical questions around the concepts of post-truth and its role in the exercise of ‘cultural power’. The ‘weaponization of culture’16 by Russia includes not only propounding the ultra-conservative myth of Slav-Orthodox superiority over a decadent and permissive ‘Gayropa’, but also using cultural products, above all film (‘of all the arts the most important’: Lenin), to glorify Russian history, while falsifying that of other nations. The exertion of cultural power is by no means restricted to Russia – in Turkey, for example, the AKP’s programme of Islamization has concentrated on the cultural sector, above all the media and universities. Nor, for that matter, is cultural power (or ‘hegemony’: Gramsci) restricted solely to authoritarian contexts. In short, culture is a realm through which power is both consolidated and contested. The connections between cultural power and ‘post-truth’ may be encapsulated in the term ‘epistemocracies’: in other words, political regimes whose power is based on their claim to be founded in truth, a claim asserted in terms of – and through – culture. Apposite though it may be, the concept of ‘post-truth’ nevertheless needs to be scrutinized. As has often been noted, it implies a time when politics was guided solely by rational argument and when the media universally obeyed the imperative of facticity. Not only is this implication illusory – the history of news is the history of confusion between the real and the fake17 – it also expresses a concept of truth as that which possesses authority. Postmodernism was a critique of this kind of positivism, whose connex with power it traced in scientific discourses. The controversy postmodernism triggered within the academe has today been revived in the context of political PR and ‘post-modern dictatorships’. 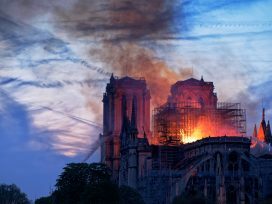 One need not claim a literal genealogy between post-modernism and post-truth to hold that a post-modern ‘culture of relativism’ has weakened intellectual resistance to anti-democratic ideologies. This type of argument claims an authority of its own, and is often a euphemism for a different set grievances. Identity politics, too, is increasingly seen as a relic of the post-modernist Left that has either failed to provide a unifying narrative of citizenship able to compete with the populist Right,18 or that has legitimized populist and illiberal claims on behalf of religious-ethnic majorities. Today, it is indeed majorities who are claiming rights on the basis of collective identity – or having those rights claimed on their behalf. However, it would be wrong to see identity politics as an aberration from the classical narrative of citizenship, logically resulting in populist claims on behalf of the ‘white working class’ majority (or Slav-Orthodox or Muslim-Islamist). After all, the history of civil rights may equally be described as the history of identity politics. How, then, to analyse ways in which identity politics consolidates cultural power, while remaining critical of universalist discourses that suppress cultural difference? Moreover, ‘cultures of truth’ may differ in eastern and western Europe. The intellectual response in the West to the disappointment of real-existing communism was diametrically opposed to that in the East: while the post-modernists rejected the ‘grand narratives’ which they saw to underlie twentieth-century totalitarianisms, a generation of phenomenologists in the East espoused a radical concept of truth and individual responsibility as the sole effective challenge to the totalitarian system of dissemblance.21 Can a ‘common European culture’ today deliver on its promise of uniting Europe to make it sufficiently resilient to attempts from beyond and within Europe’s borders to assert counter-cultural, illiberal hegemony? See Peter Pomerantsev and Michael Weiss, ‘The Menace of Unreality: How the Kremlin Weaponizes Information, Culture and Money’’, Institute of Modern Russia, Interpretermag.com, 2014. Peter Pomerantsev, Nothing is True and Everything is Possible, London 2015. Stephen Holmes and Ivan Krastev, ‘The Weakest Strongman’, New Republic (Jan. 11, 2012). 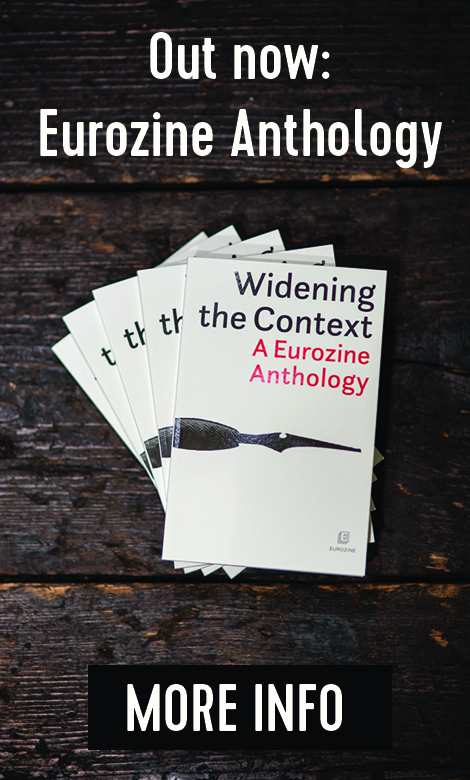 Anton Shekhovtsov, ‘Conventional bedfellows: The Russian propaganda machine and the western far-Right’, in Eurozine 2017. On the exaggeration of the threat of Russian disinformation in Germany, see. Gemma Pörzgen, Informationskrieg in Deutschland? in APuZ 21–22/2017. See Peter Pomerantsev and Michael Weiss, ‘The Menace of Unreality: How the Kremlin Weaponizes Information, Culture and Money’, Institute of Modern Russia, Interpretermag.com, 2014. Hannah Arendt. ‘Truth and politics’, in idem, Between Past and Future: Eight Exercises in Political Thought, New York 1954.